We have put forth for the clients an extensive assortment of Anti Cancer capsules that we source from top notch national and international manufacturers. Our vast resources and well knotted vendor & transportation network allow us to offer bulk products orders within the stipulated time-frame to many hospitals and chemist shops spread across the globe. Myelostat 500MgCapsule is used for Sickle Cell Anemia etc. KnowMyelostat 500MgCapsule uses, side-effects, composition, substitutes, drug interactions, precautions, dosage. Lenangio 5mg Capsule is used in the treatment of¿¿multiple myeloma¿¿and lepra reaction. Lenangio 5mg Capsule modulates the activity of body's immune system and helps indirectly attacking the cancer cells. It also stops the growth of blood vessels in cancer. Veenat 400mg Tablet is used in the treatment ofblood cancer (Chronic myeloid leukaemia)and gastrointestinal stromal tumour. 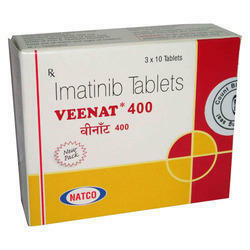 Veenat 400mg Tablet is an anti-cancer medication. It works by blocking the action of the abnormal protein that signals cancer cells to multiply. This helps to stop or slow the spread of cancer cells. Veenat 100mg Capsule is used in the treatment ofblood cancer (Chronic myeloid leukaemia)and gastrointestinal stromal tumour. 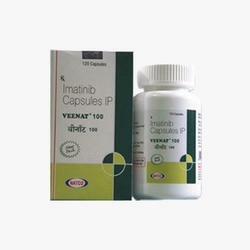 Veenat 100mg Capsule is an anti-cancer medication. It works by blocking the action of the abnormal protein that signals cancer cells to multiply. This helps to stop or slow the spread of cancer cells. 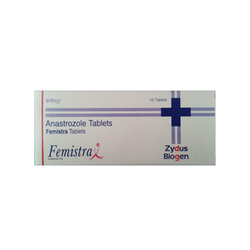 Femistra (1 mg)is a non-steroidal inhibitor used with other treatments, such as surgery or radiation, to treat early breast cancer in women who have experienced menopause.Femistra (1 mg)is also used in women, who have experienced menopause, as a first treatment of breast cancer that has spread within the breast or to other areas of the body. It is also used to treat breast cancer in women whose breast cancer has worsened after taking tamoxifen (Nolvadex). Soranib 200mg Tablet is used in the treatment ofliver cancer,kidney cancerandthyroid cancer. 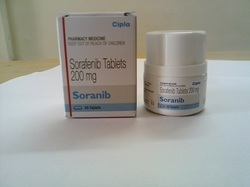 Soranib 200mg Tablet is an anti-cancer medication. It works by blocking the action of the abnormal protein that signals cancer cells to multiply. This helps to stop or slow the spread of cancer cells. 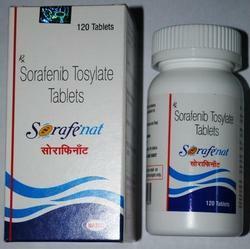 Sorafenat 200mg Tablet is used in the treatment ofliver cancer,kidney cancerandthyroid cancer. Sorafenat 200mg Tablet is an anti-cancer medication. It works by blocking the action of the abnormal protein that signals cancer cells to multiply. This helps to stop or slow the spread of cancer cells. 6-MP 50mg Tablet is used in the treatment ofovarian cancer,head and neck cancer,cervical cancer, Testicular cancer.,breast cancer,non-Hodgkin lymphoma (NHL),blood cancer,lung cancer,bone cancerandurinary bladder cancer. 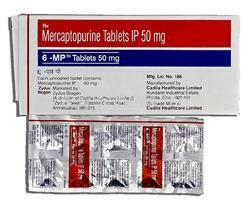 6-MP 50mg Tablet interferes with the growth of DNA and RNA of the cancer cells by substituting their building blocks. It prevents the cancer cells from growing and multiplying. Zoladex 3.6mg Injection is used forprostate cancer,breast cancer,endometriosis,uterine fibroidsandfemale infertility. It is also used to reduce the thickness of the endometrium of the uterus in preparation for surgery. Zoladex 3.6mg Injection is a hormone similar to the one produced by a hypothalmus gland in the brain. It works by decreasing the levels of testosterone and estrogen. Biobin 1000mg Injection is used in the treatment ofovarian cancer,head and neck cancer,cervical cancer, Testicular cancer.,breast cancer,non-Hodgkin lymphoma (NHL),blood cancer,lung cancer,bone cancerandurinary bladder cancer. Biobin 1000mg Injection interferes with the growth of DNA and RNA of the cancer cells by substituting their building blocks. It prevents the cancer cells from growing and multiplying. Bleocel 15IU Injection is used in the treatment ofcervical cancer, cancer of mouth, nasopharynx and paranasal sinuses, larynx, oesophagus andskin cancer. 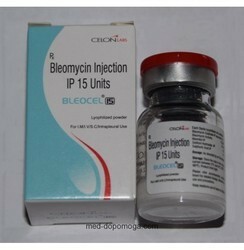 Bleocel 15IU Injection is an anti-cancer medication. It works by damaging the genetic material (DNA) of the cancer cells and stops their growth and multiplication. Bortecad 2mg Injection is used in the treatment ofmultiple myelomaandmantle-cell lymphoma. 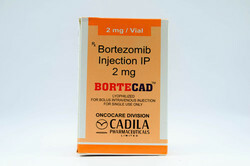 Bortecad 2mg Injection is an anti-cancer medication. It works by blocking or slowing the breakdown of proteins in cells. As a result, there is an increase in a number of proteins in the cancer cells leading to their death. Bortenat 2mg Injection is used in the treatment ofmultiple myelomaandmantle-cell lymphoma. 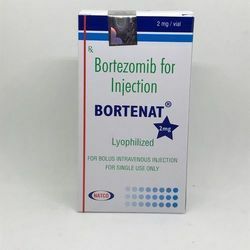 Bortenat 2mg Injection is an anti-cancer medication. It works by blocking or slowing the breakdown of proteins in cells. As a result, there is an increase in a number of proteins in the cancer cells leading to their death. 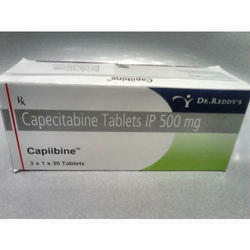 Capiibine 500mg Tablet is used in the treatment ofovarian cancer,head and neck cancer,cervical cancer, Testicular cancer.,breast cancer,non-Hodgkin lymphoma (NHL),blood cancer,lung cancer,bone cancerandurinary bladder cancer. Capiibine 500mg Tablet interferes with the growth of DNA and RNA of the cancer cells by substituting their building blocks. It prevents the cancer cells from growing and multiplying. 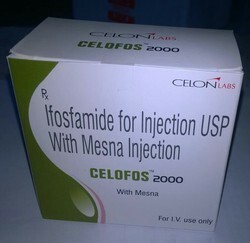 Celofos 2gm Injection is used in the treatment ofblood cancer,breast cancer,non-small cell lung cancerandovarian cancer. Celofos 2gm Injection is an anti-cancer medication. It works by damaging the genetic material (DNA) of the cancer cells and stops their growth and multiplication. 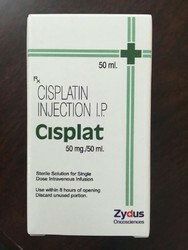 Cisplat 50mg Infusion is used in the treatment oflung cancer,ovarian cancer,cervical cancerandtesticular cancer. Cisplat 50mg Infusion is an anti-cancer medication. It works by damaging the genetic material (DNA) of the cancer cells and stops their growth and multiplication. Cycloxan 50mg Tablet is used in the treatment ofblood cancer,breast cancer,non-small cell lung cancerandovarian cancer. 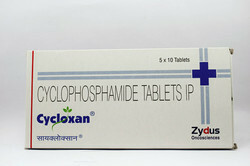 Cycloxan 50mg Tablet is an anti-cancer medication. It works by damaging the genetic material (DNA) of the cancer cells and stops their growth and multiplication. Cycloxan 500mg Injection is used in the treatment ofblood cancer,breast cancer,non-small cell lung cancerandovarian cancer. 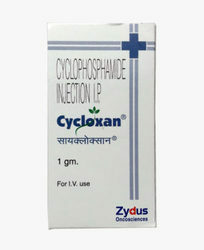 Cycloxan 500mg Injection is an anti-cancer medication. It works by damaging the genetic material (DNA) of the cancer cells and stops their growth and multiplication. Cycloxan 1000mg Injection is used in the treatment ofblood cancer,breast cancer,non-small cell lung cancerandovarian cancer. 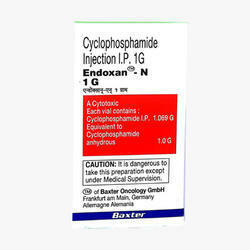 Cycloxan 1000mg Injection is an anti-cancer medication. It works by damaging the genetic material (DNA) of the cancer cells and stops their growth and multiplication. Dacilon 0.5mg Injection is used in the treatment oftesticular cancer,Wilms' tumor,gestational trophoblastic neoplasiaand Ewing's sarcoma. 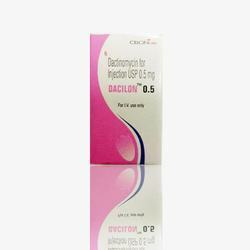 Dacilon 0.5mg Injection is an anti-cancer medication. It works by damaging the genetic material (DNA) of the cancer cells and stops their growth and multiplication. Daunotec 20mg Injection is used in the treatment ofblood cancer. 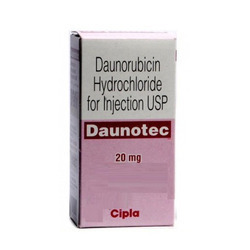 Daunotec 20mg Injection is an anti-cancer medication. It works by damaging the genetic material (DNA) of the cancer cells and stops their growth and multiplication. Endoxan N 1000mg Injection is used in the treatment ofblood cancer,breast cancer,non-small cell lung cancerandovarian cancer. Endoxan N 1000mg Injection is an anti-cancer medication. It works by damaging the genetic material (DNA) of the cancer cells and stops their growth and multiplication. 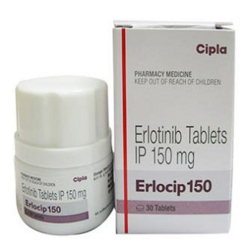 ERLOCIP 150 MG TABLET is used in the treatment ofnon-small cell lung cancerandpancreatic cancer. 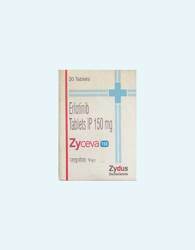 ERLOCIP 150 MG TABLET is an anti-cancer medication. It works by blocking the action of the abnormal protein that signals cancer cells to multiply. This helps to stop or slow the spread of cancer cells. 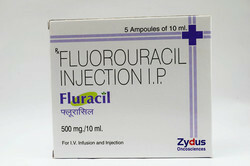 Fluracil 500mg Injection is used in the treatment ofovarian cancer,head and neck cancer,cervical cancer, Testicular cancer.,breast cancer,non-Hodgkin lymphoma (NHL),blood cancer,lung cancer,bone cancerandurinary bladder cancer. Fluracil 500mg Injection interferes with the growth of DNA and RNA of the cancer cells by substituting their building blocks. It prevents the cancer cells from growing and multiplying. Fluracil 250mg Injection is used in the treatment ofovarian cancer,head and neck cancer,cervical cancer, Testicular cancer.,breast cancer,non-Hodgkin lymphoma (NHL),blood cancer,lung cancer,bone cancerandurinary bladder cancer. 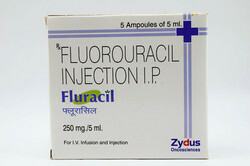 Fluracil 250mg Injection interferes with the growth of DNA and RNA of the cancer cells by substituting their building blocks. It prevents the cancer cells from growing and multiplying. 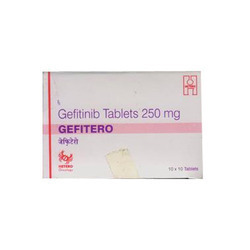 Gefitero 250mg Tablet is used in the treatment ofnon-small cell lung cancer. It is used in patients in which it has spread to other parts of the body, who have abnormal epidermal growth factor receptor (EGFR) genes, and who have not had previous treatment for cancer. Gefitero 250mg Tablet is an anti-cancer medication. It works by blocking the action of the abnormal protein that signals cancer cells to multiply. This helps to stop or slow the spread of cancer cells. 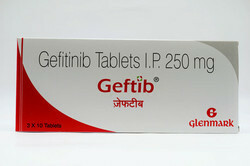 Geftib 250mg Tablet is used in the treatment ofnon-small cell lung cancer. It is used in patients in which it has spread to other parts of the body, who have abnormal epidermal growth factor receptor (EGFR) genes, and who have not had previous treatment for cancer. Geftib 250mg Tablet is an anti-cancer medication. It works by blocking the action of the abnormal protein that signals cancer cells to multiply. This helps to stop or slow the spread of cancer cells. 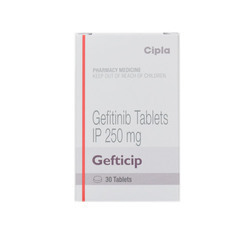 Gefticip 250mg Tablet is used in the treatment ofnon-small cell lung cancer. It is used in patients in which it has spread to other parts of the body, who have abnormal epidermal growth factor receptor (EGFR) genes, and who have not had previous treatment for cancer. Gefticip 250mg Tablet is an anti-cancer medication. It works by blocking the action of the abnormal protein that signals cancer cells to multiply. This helps to stop or slow the spread of cancer cells..
Hepcinat 400mg Tablet is used in the treatment of chronic hepatitis C virus (HCV) infection. 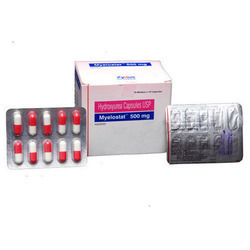 Hepcinat 400mg Tablet is an antiviral medication. It works by lowering a load of hepatitis C virus in the body and removing the virus from the blood over a period of time. 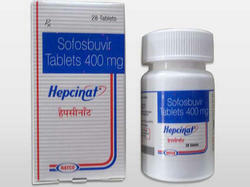 Hepcvir 400mg Tablet is used in the treatment of chronic hepatitis C virus (HCV) infection. 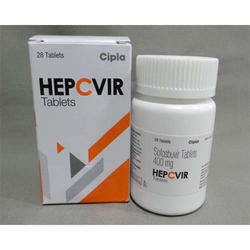 Hepcvir 400mg Tablet is an antiviral medication. It works by lowering a load of hepatitis C virus in the body and removing the virus from the blood over a period of time. Imanib 400mg Tablet is used in the treatment ofblood cancer (Chronic myeloid leukaemia)and gastrointestinal stromal tumour. 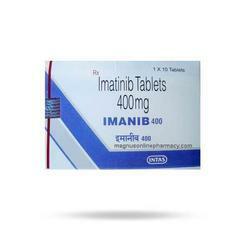 Imanib 400mg Tablet is an anti-cancer medication. It works by blocking the action of the abnormal protein that signals cancer cells to multiply. This helps to stop or slow the spread of cancer cells. Imat 400mg Tablet is used in the treatment ofblood cancer (Chronic myeloid leukaemia)and gastrointestinal stromal tumour. 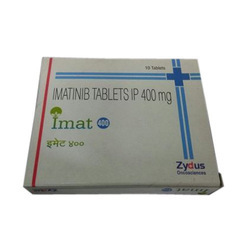 Imat 400mg Tablet is an anti-cancer medication. It works by blocking the action of the abnormal protein that signals cancer cells to multiply. This helps to stop or slow the spread of cancer cells. Ipoget 1gm Injection is used in the treatment of¿¿blood cancer,¿¿breast cancer,¿¿non-small cell lung cancer¿¿and¿¿ovarian cancer. 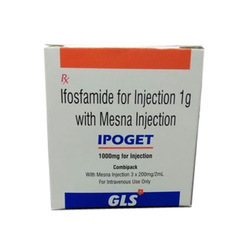 Ipoget 1gm Injection is an anti-cancer medication. It works by damaging the genetic material (DNA) of the cancer cells and stops their growth and multiplication. Kemocarb 450mg Injection is used in the treatment of¿¿ovarian cancer¿¿and¿¿small cell lung cancer. 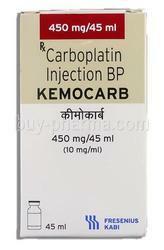 Kemocarb 450mg Injection is an anti-cancer medication. It works by damaging the genetic material (DNA) of the cancer cells and stops their growth and multiplication. Kemocarb 150mg Injection is used in the treatment of¿¿ovarian cancer¿¿and¿¿small cell lung cancer. 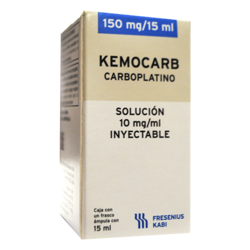 Kemocarb 150mg Injection is an anti-cancer medication. It works by damaging the genetic material (DNA) of the cancer cells and stops their growth and multiplication. 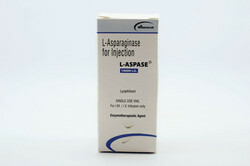 L-Aspase 10000IU Injection is used in the treatment of blood cancer (Acute lymphocytic leukemia). 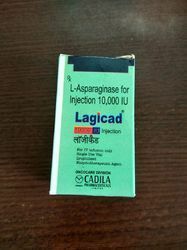 Asparaginase belongs to class of medications called antineoplastic agents. Asparaginase is an enzyme that interferes with natural processes necessary for cancer cell growth, thereby killing or stopping the growth of cancer cells. Lagicad 10000IU Injection is used in the treatment of blood cancer (Acute lymphocytic leukemia). 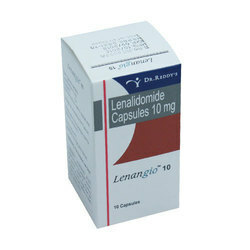 Lenangio 10mg Capsule is used in the treatment of¿¿multiple myeloma¿¿and lepra reaction. Lenangio 10mg Capsule modulates the activity of body's immune system and helps indirectly attacking the cancer cells. It also stops the growth of blood vessels in cancer. Lenangio 25mg Capsule is used in the treatment of¿¿multiple myeloma¿¿and lepra reaction. 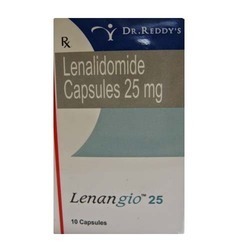 Lenangio 25mg Capsule modulates the activity of body's immune system and helps indirectly attacking the cancer cells. It also stops the growth of blood vessels in cancer. Altraz 1mg Tablet is used in the treatment ofbreast cancer. It is used with other treatments, such as surgery or radiation, to treat breast cancer in women who have attained menopause. 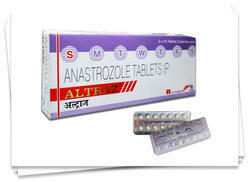 Altraz 1mg Tablet is an aromatase inhibitor. It works by lowering the amount of estrogen (natural female hormone) produced in the body. This can lower or stop the growth of some breast cancer cells that need estrogen to grow.